Recently, I was given the opportunity to check out an awesome cook book full of wild game smoking recipes. As a hunter who processes his own meat, I was really excited to check out what the Bradley Smoker Cookbook had to offer. The Bradley Smoker Cookbook: Tips, Tricks and Recipes from Bradley Smoker’s Pro Staff is a great book that offers tons of recipes that can be done by beginners all the way up to complicated sausage recipes. 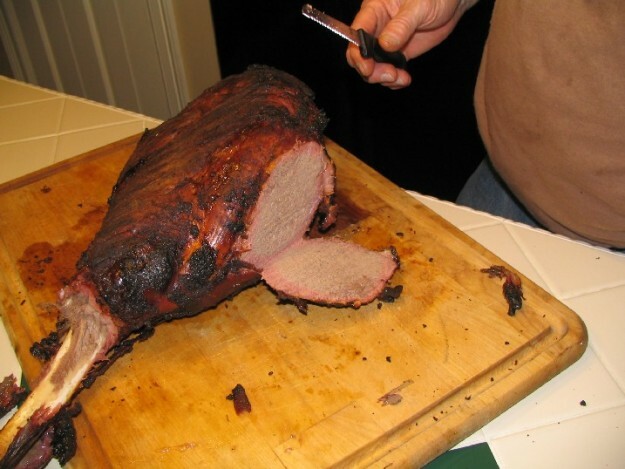 Don’t miss this amazing Smoked Venison Ham Recipe below and be sure to check out the book on Amazon here. The Bradley Smoker Cookbook is full of wild game and other meats that you can get at a grocery store. The book was written by their pro staff and includes recipes from Steve Cylka, Kathleen Donegan, Brad Lockwood and Jennifer L.S. Pearsall. One of the best recipes that I’m really looking forward to trying is the smoked venison ham recipe. Normally, I steak out venison, but would love to try something new like this and I believe this is going to be the perfect recipe. Keep in mind that while Bradley Smokers are a great choice, many of you probably own your own smoker and any brand will do. Mix the dry seasonings with 8 cups cold water and stir until completely dissolved. Using a multi hole injection needle, inject brine in a grid pattern and place injection spots one inch apart. Inject both sides of the hind quarter. Cover ham and place in refrigerator for 4 days to allow brine to soak into the muscles. After 4 days, remove the ham and rinse well with cold water. Preheat Bradley Smoker to 170 degrees F. This is a large product with a lot of surface area, so it will take quite some time to dry the surface. Dry for 2 hours at 170 degrees F, then turn on the smoke generator and increase the temperature to 180 degrees F for 2 hours. Increase the cabinet temperature to 200 degrees F until an internal temperature of 156 degrees F is reached. If you’re looking for one of the best wild game smoking cookbooks out there, The Bradley Smoker Cookbook is the one to choose and add to your collection. You can purchase your own copy on Amazon.com. Check out more Hunting blogs.